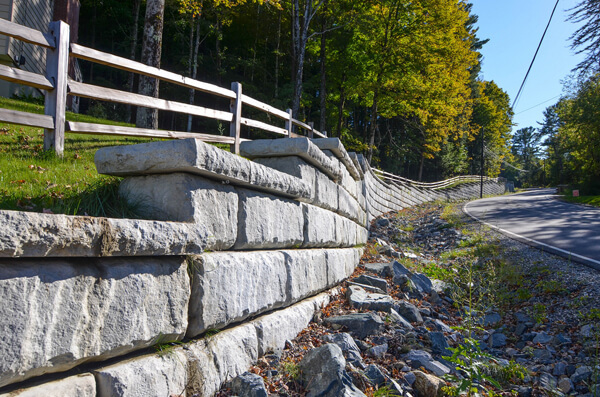 Certain types of retaining walls are going to be better for your needs than others. If you have a specific project in mind for your lawn or garden and you want to get the best retaining walls for the situation, then you need to familiarize yourself with some of the differences that exist between these different types of products. If you take the time to do this, then you have a much better chance of choosing a product that is going to work well for you right now and in the long run. 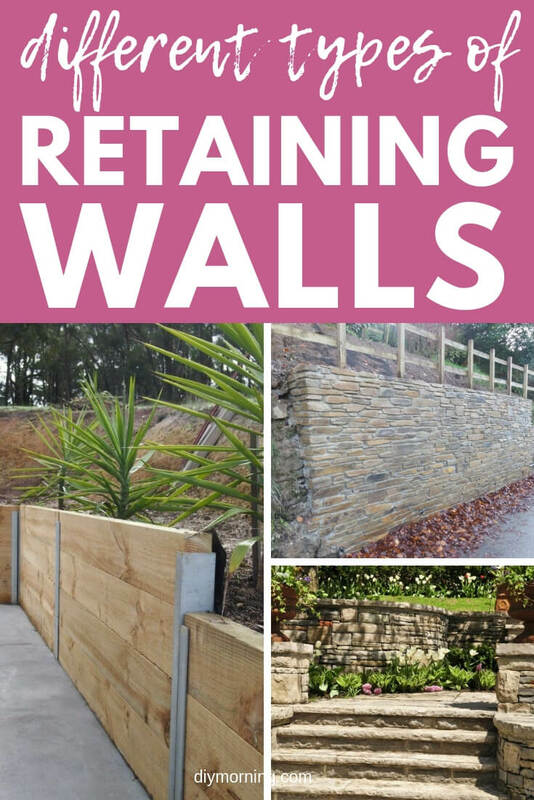 Spend some time looking over information about the different types of retaining walls, so that you can make a wise choice in the end. 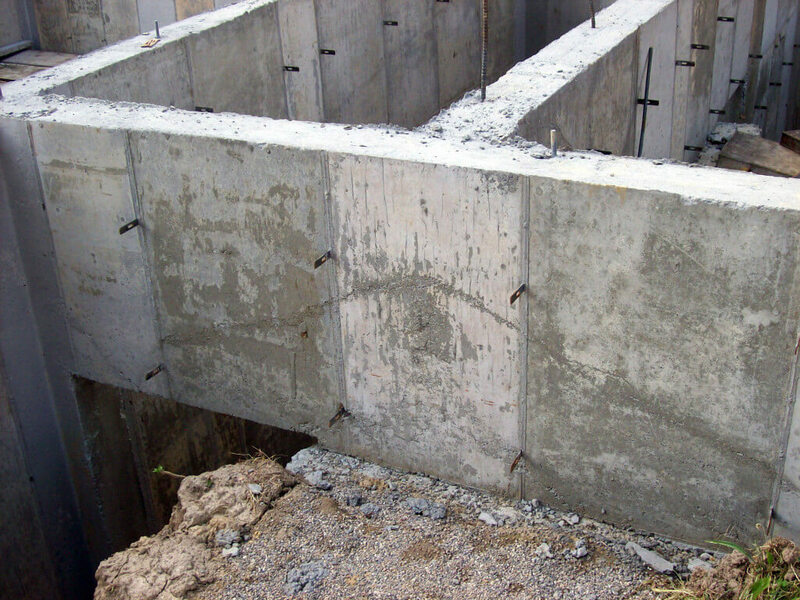 Before you can really decide which type of retaining wall is best for your situation, you are going to need to think about where you want to put a sheet pile retainment wall and what purpose you want it to serve. 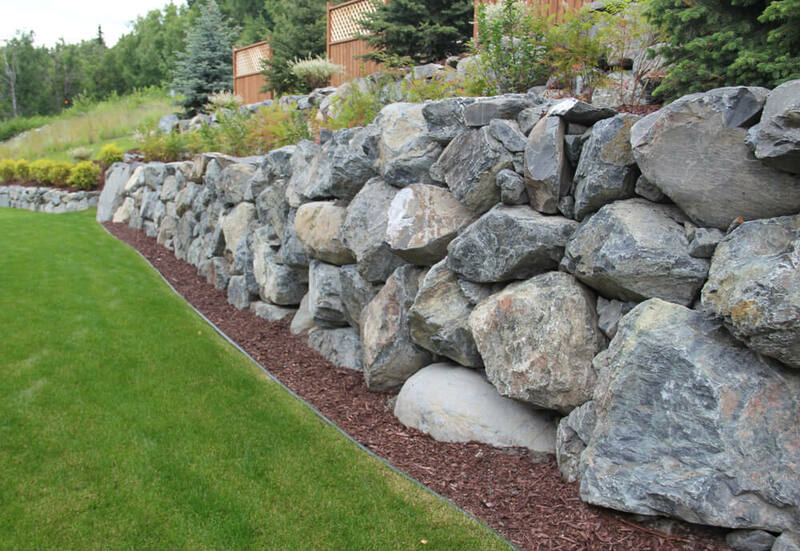 Are you trying to build a retaining wall because you want it to serve a functional purpose, or are you more concerned with building a decorative retaining wall? What you are trying to achieve will definitely matter, so you should be careful to think over your goals and aims before you decide on any one type of retaining wall. Also, where you want to place the retaining wall in your yard will matter, and you must consider what kind of earth or soil you will be dealing with. 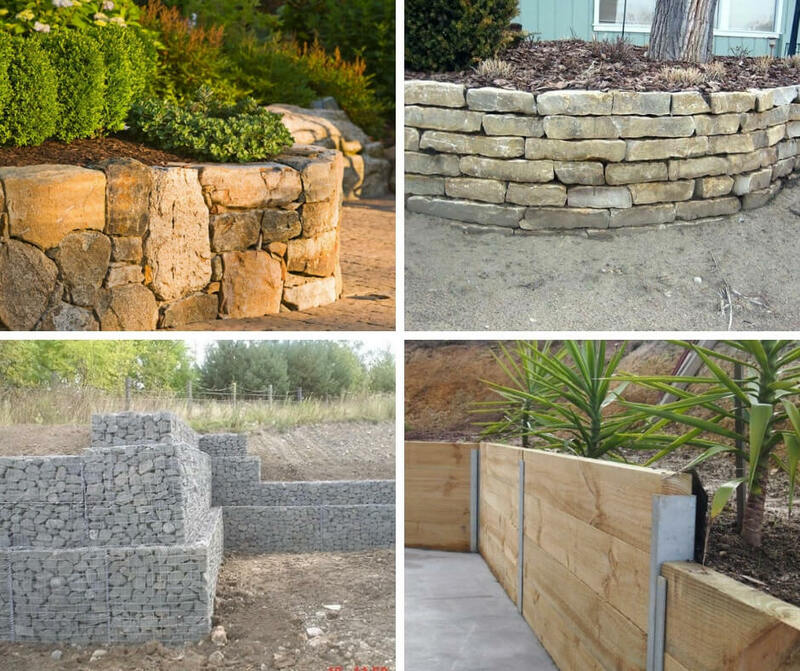 There are four main types of retaining walls that you should be aware of if you are considering installing one of these structures in your home. The first type of retaining wall that you should consider is a gravity retaining wall. These walls work by using their weight to resist the pressure of the ground that is behind them. Because of the way that these walls are constructed, gravity will hold back the earth and soil behind them. Usually, gravity retaining walls are constructed at heights of only three of four feet. These are not the easiest walls to build and it can get difficult to construct them properly if you want to make them much higher than four feet. Another type of retaining wall that you should consider when doing your home project is a cantilevered retaining wall. These types of walls are made using reinforced concrete. There are two main parts to a cantilevered retaining wall, a very thin stem and a base that is divided into two parts, a heel, which is under the back fill, and a toe, which is the remaining portion of the base. One major benefit of these types of retaining walls is that they use a lot less concrete than something like a gravity retaining wall. However, they can sometimes be much more difficult to design properly and require lots of care to be taken during the construction process. 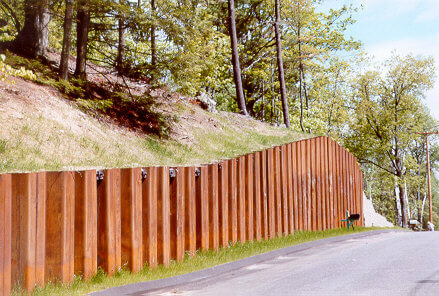 There is another type of retaining wall that homeowners sometimes use for their projects: sheet pile retaining walls. A lot of homeowners tend to use these types of retaining walls when they are dealing with a small space and soil that is very soft. Usually, with these walls, two-thirds of the actual wall is below ground and only one-third of the wall is actually above ground. Most often, these types of walls are made using wood, steel, or vinyl, and materials like stone is not used in a construction such as this. If you are looking for an option that is less expensive, then this may be the type that you want to go with. You can actually choose to go with any one of these types of retaining walls, gravity, cantilevered, or sheet pile, and have it be an anchored retaining wall. These structures have added strength, because they use cables or stays that are anchored into the soil or the rock which is behind them. These types of retaining walls are often really technically complex, and can be difficult to construct. Unlike other types of retaining walls, which can be completed as a home project, these one should definitely not be completed on your own. This type of retaining wall is often used when the wall has to be very slender and would be too weak without the anchors. 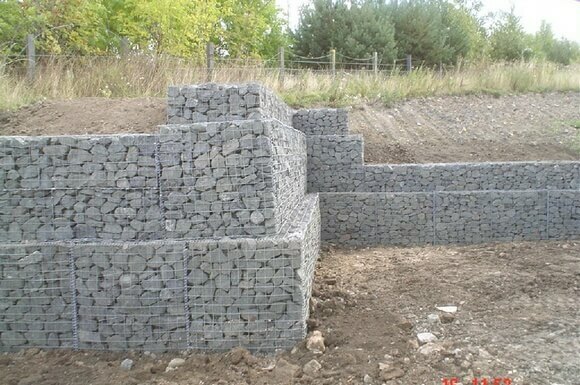 If you are not sure what types of retaining walls that you need for your project, then it’s a good idea to consult with an expert who can help you with these issues. 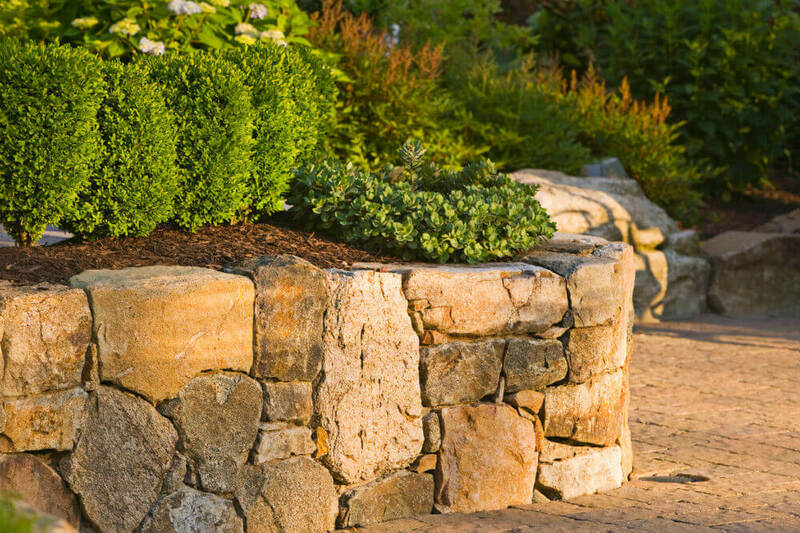 Many landscapers are familiar with these structures and can easily help you identify what kind of retaining walls would be best for your specific situation. Keep in mind, though, that all landscapers do not deal with retaining walls, so they might not have the professional information and experience that you are looking for. When designing, you should keep in mind the retaining walls cost. You will have to calculate how long the walls will be, the depth of the walls, and what kind of materials. Concrete is the obvious choice, but most people either cover this or completely replace it with a more eye-pleasing choice such as brick or wooden logs. You may also choose to match the walls to your house. In either case, the cost of the amount of materials will need to be taken into consideration before you start your project. 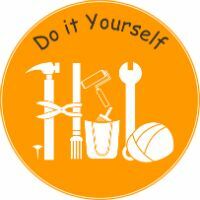 It is not a good idea to start your project and need to stop halfway through because you did not plan for costs. Retaining wall blocks can cost as much as several dollars per block, so even the slightest miscalculation can throw your project off budget. A retaining wall of wood is a slightly more aesthetic and in some cases, a cheaper alternative to masonry. 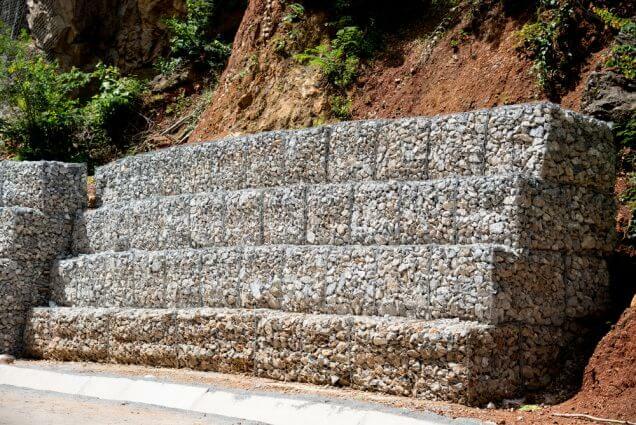 Building retaining walls requires simple mathematical knowledge and the skills to employ this knowledge. Improperly built walls can result in not only wasted time and money, but can also cause damage to your property. 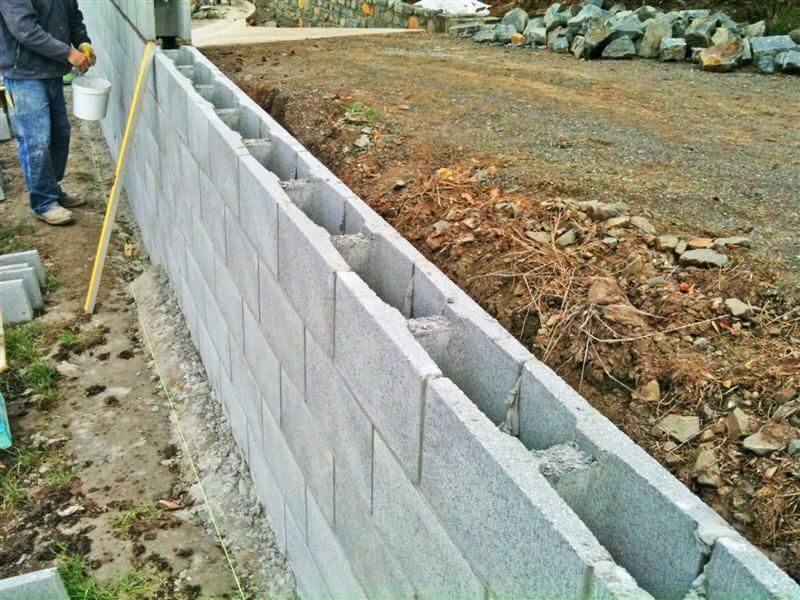 Many homeowners decide to leave installing retaining walls to experts, but it is simple if you understand the process. Usually, the wall uses its force to hold the pressure of the soil in, without collapsing. This can be accomplished by burying the wall deep in the ground, attached to a base, or by anchoring it in some other way. 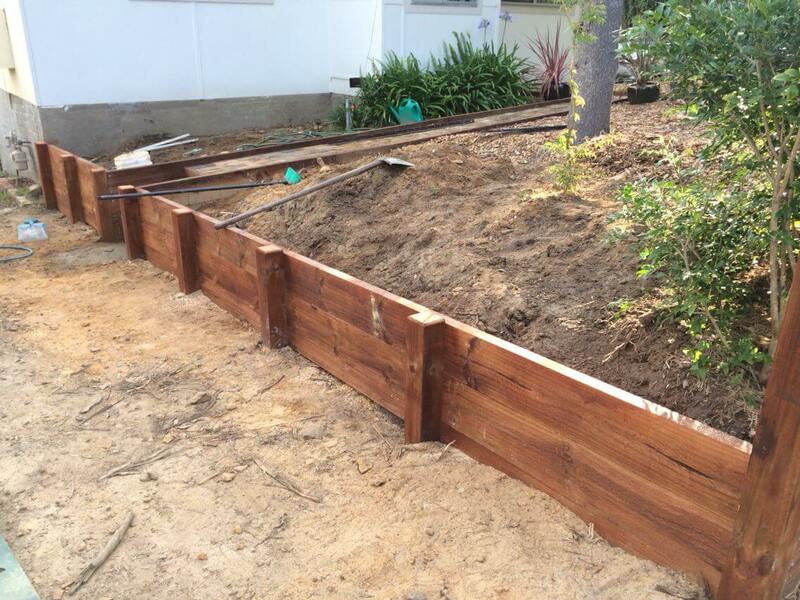 Another tactic is to create a sloping wall that is partly buried in the ground, to create resistance to the force exerted by the filler soil. Whichever way you choose, you need to be sure your retaining walls will hold up. 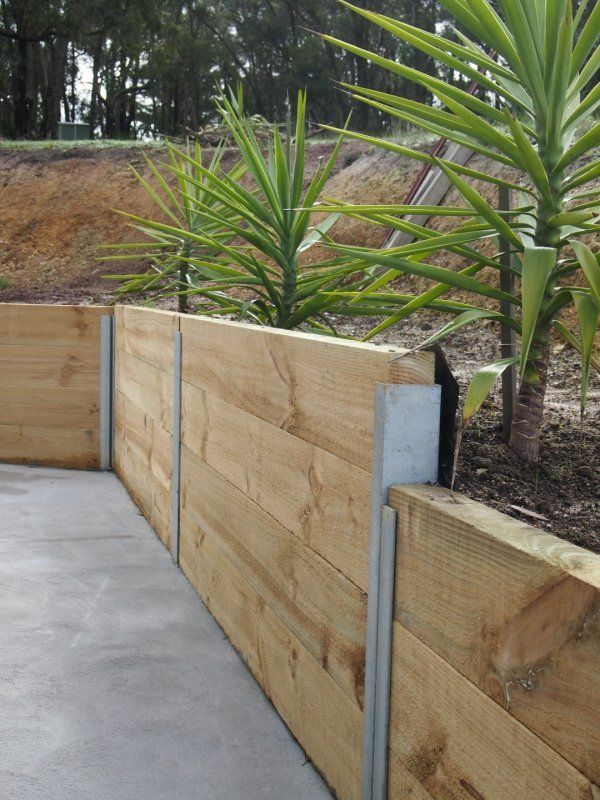 Straight, plain garden walls will collapse quickly when used as retaining walls. Proper bracing is essential to build a lasting wall. Retaining walls may hold thousands of pounds of soil; so needless to say, weak walls can have disastrous consequences. A poorly constructed wall may cave in under even a few hundred pounds of dirt. A retaining wall may be built from concrete blocks, pressure-treated wood, bricks, natural stone, or a variety of other suitable materials. What you choose is up to your design and needs. With this in mind, it is essential to choose the proper material for your walls. A higher wall needs to be considerably more rigid than a wall that only comes a few inches off the ground. 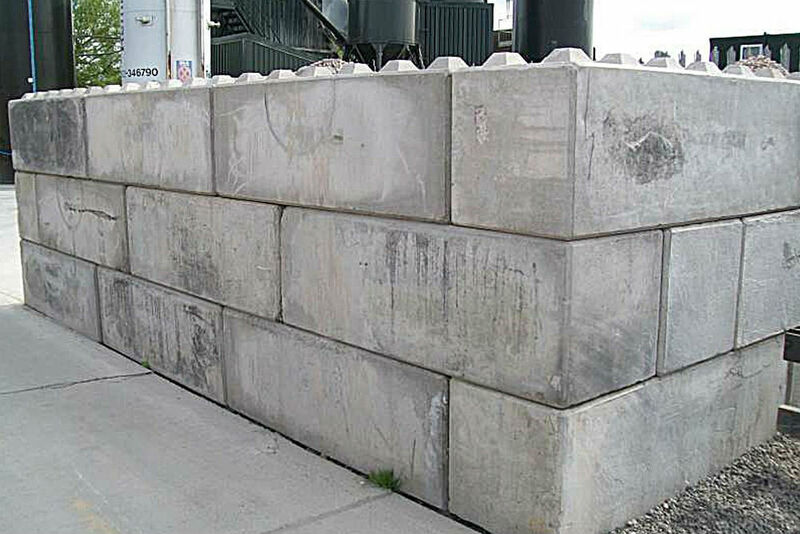 Because of its properties, concrete is generally the material of choice when building retaining walls. However, many people use less rigid materials and choose to reinforce them with concrete, metal, or other strong materials to hold the soil in place. This works for the most part, but this type of retaining wall does not hold up as long as a properly installed retaining wall. A brace should be considered for behind the wall, no matter the material. Bracing the wall now may save you from messy and expensive repairs later. Higher walls also need to be thicker than lower walls, as this helps to even the forces out. When considering installing retaining walls, you should decide where you would like them, how large of an area the elevated yard will be, and what material you would like the wall made from. 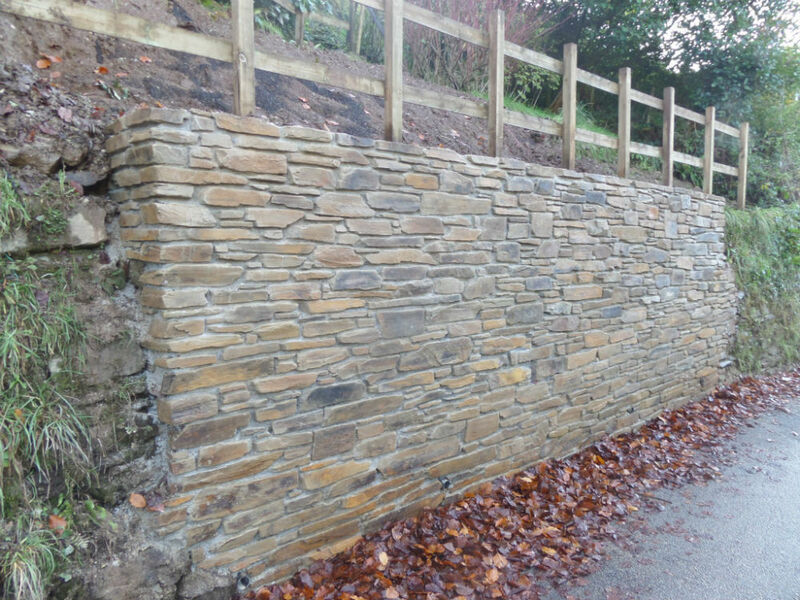 Skilled retaining wall experts can be helpful in assisting you in this process, as they have valuable experience that can help in making your decisions. 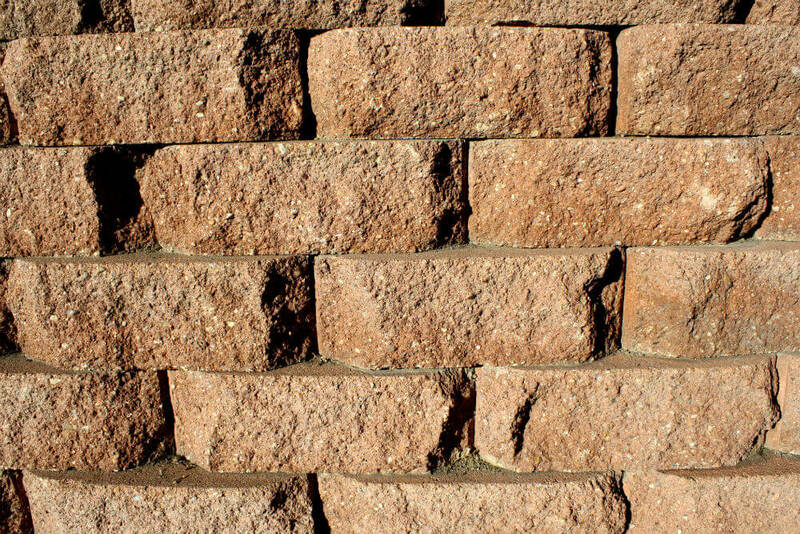 An expert can bring you pictures of different styles of retaining walls, and possibly even samples of wall materials to help you better understand the look and feel of your new wall. Retaining wall pictures are taken from previous clients, and are a good example of what you wish to build in your yard. They can also help decide whether the mason or carpenter in question is a good candidate to build your walls. You must also remember that installing retaining walls is labor-intensive, as each individual brick or piece must be laid in and leveled out before moving on to the next piece. If you have a pool in your backyard or are thinking of installing one, then you may need to give some consideration to the benefits of retaining walls. A retaining wall can actually make it more possible to install a pool in a backyard that is sloped. In addition, such a wall might also be able to provide you with a lot more aesthetic benefits. You can get a great new piece of architectural work that is going to make installing your pool a cinch, and it will be something that everyone can enjoy looking at in your family. You can choose to highlight the beauty of your retaining wall by choosing to add some luscious plants and greenery to it, or you can even choose to incorporate some fountains. 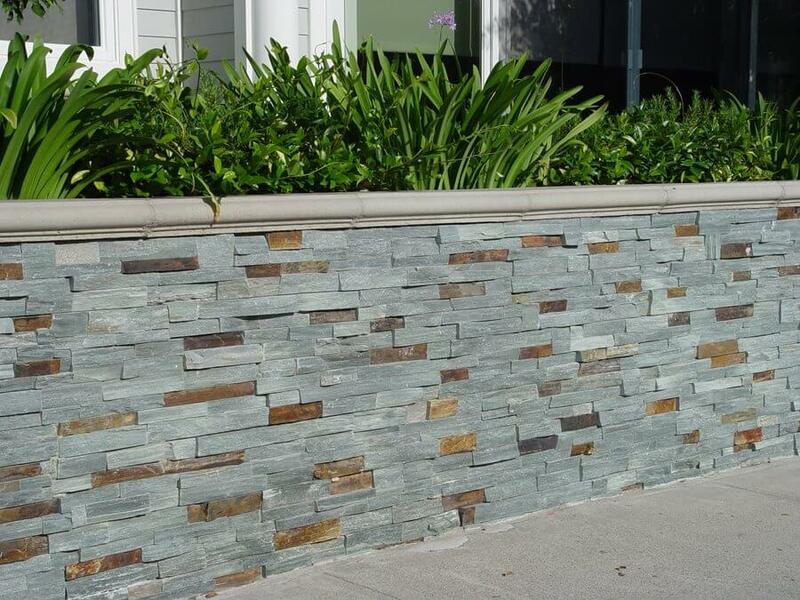 That would actually work well and can really tie the look of your retaining wall into the look of the pool. 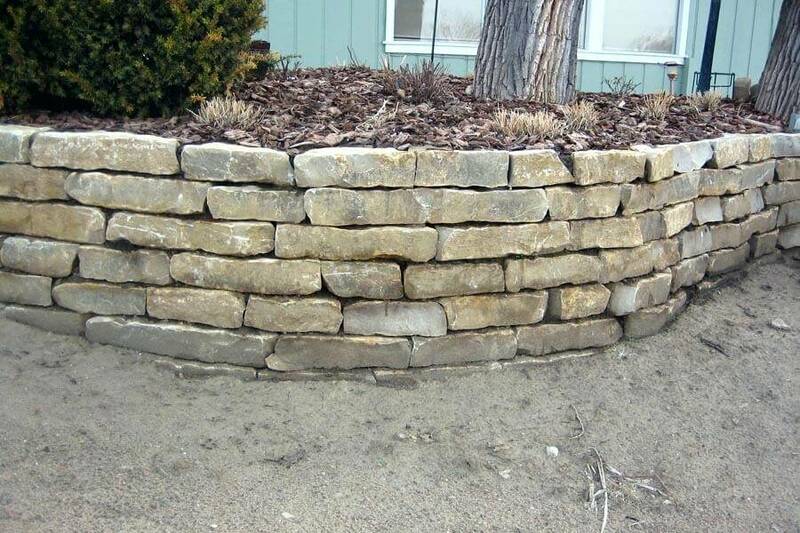 You can create a functional retaining wall that is going to provide you with the opportunity to have even more lovely focal points in your backyard. You can also use a retaining wall around a pool to offer you some really great opportunities to create certain architectural elements. For instance, you can shape your wall into a series of steps that lead down into your pool. 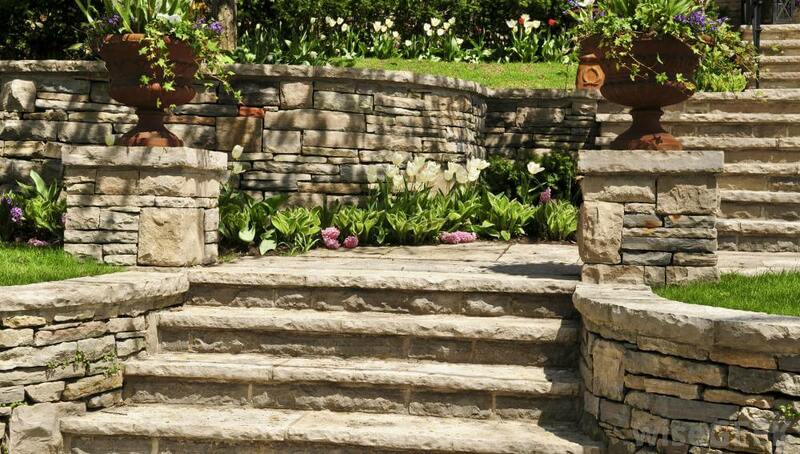 You can even choose to line these steps with some really great plants or flowers. This will make your whole pool area a lot more attractive. Choosing this option will prove that retaining walls can be really functional and decorative at the same time. 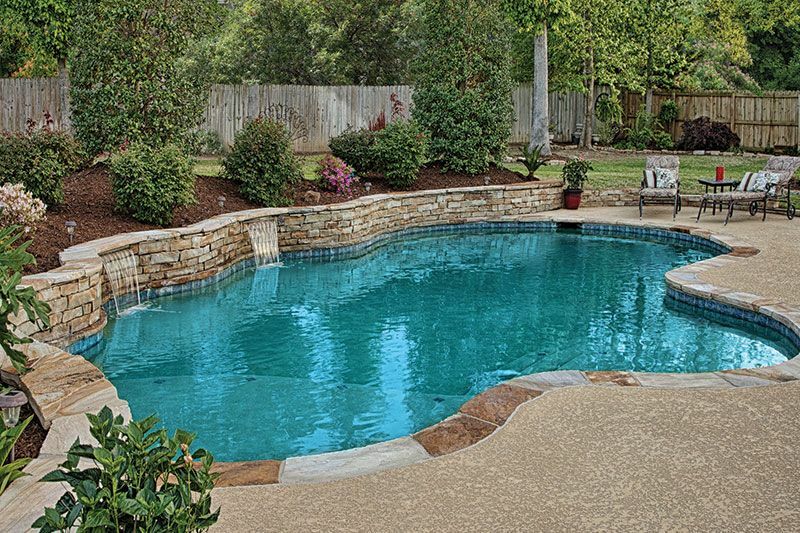 If you have decided on adding a retaining wall near your pool, then you’re making a really good decision already. This is a choice that is definitely going to make your whole pool area look a bit more fun and elegant. One of the first things that you should consider is what you want your retaining wall to look like. This is very important if you are putting it near a pool, as it is going to be something that lots of people will look at from day to day. You need to make sure that you choose something that is going to match the concrete, tile, or other material that you have chosen for the area around your pool. It’s a good idea for you to consider your budget first before you make any of these decorative choices. It can be really expensive to build a pool in your home, and choosing a retaining wall as a design element can also be really expensive. As such, you need to make sure that you can afford to install both of these things at once. It might be too much to take on at one time, so you may have to space things out. Once you do make some decisions regarding your budget, then you can start choosing products. There are a lot of different options out there, so you can be sure to find something that is really going to highlight the beauty of your pool. You can really spend as much money on the project as you are comfortable spending, as there are some really elegant materials out there to choose from. If you have decided on using a retaining wall around a pool, then make it as beautiful as you possibly can.